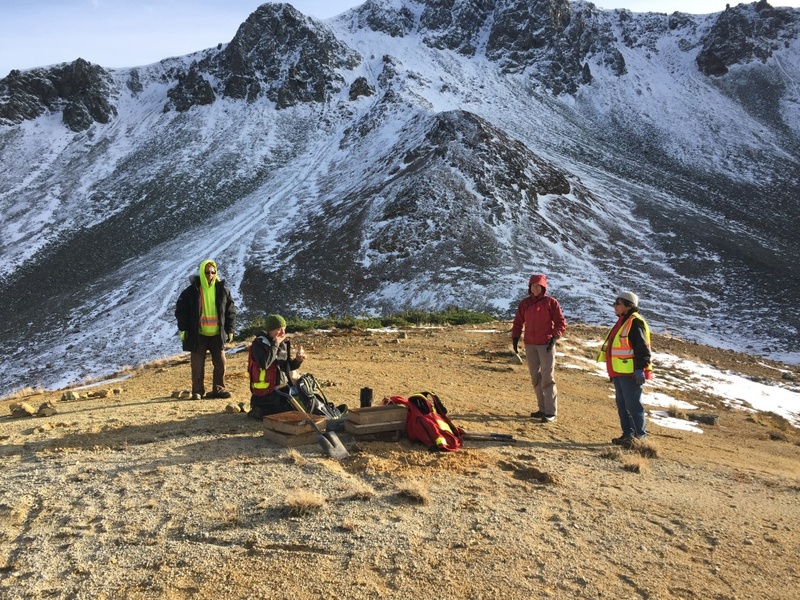 In October, Crossroads sent a team into Kemess Mine in north-central B.C. to do an archaeological impact assessment for its proposed Kemess Underground Project. The team experienced stunning high-alpine vistas and found evidence of past use in the area, on the periphery of the proposed mine site. Vera Poole from the Tsay Keh Dene and Margo French from Takla Lake First Nation joined Crossroads’ Jocelyn Franks, Dana Evaschuk and Sarah Weber as they assessed the proposed underground mine and its potential impacts on local culture in early October. Along with supporting the crew, the First Nations women contributed extensive amounts of local knowledge. A preliminary visit to the site a year earlier indicated two areas that should be revisited for more detailed testing: a 35-hectare subsidence zone in the high alpine and the route for a proposed surface conveyor that would carry ore back to the existing mine site. The crew did shovel tests (35 at each site), digging holes two to five metres apart and about 12 inches deep, down to sterile soil, to determine past use of the area. 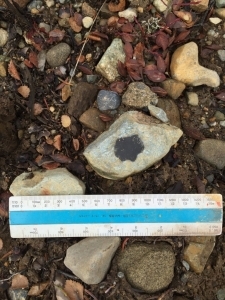 Although nothing was found at the first site, on the boundary of the second site the team discovered three flakes — thin pieces of rock that chipped away while making stone tools, likely hundreds (if not thousands) of years ago. The current impact assessment builds on a comprehensive archaeological overview assessment Crossroads did for AuRico Gold, which operates Kemess, three years ago. Crossroads continues to prepare a traditional knowledge and land-use study for the mine, involving community members in all aspects of the work. 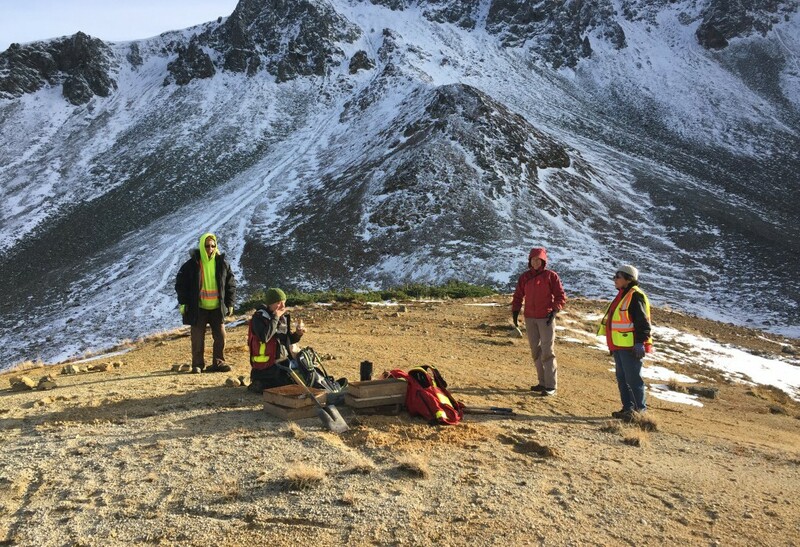 The result is the creation of a Cultural and Archaeological Management Program for the Tse Keh Nay, which represents three First Nations in north-central B.C. The program also includes other aspects of cultural resource management, such as socioeconomic and health.